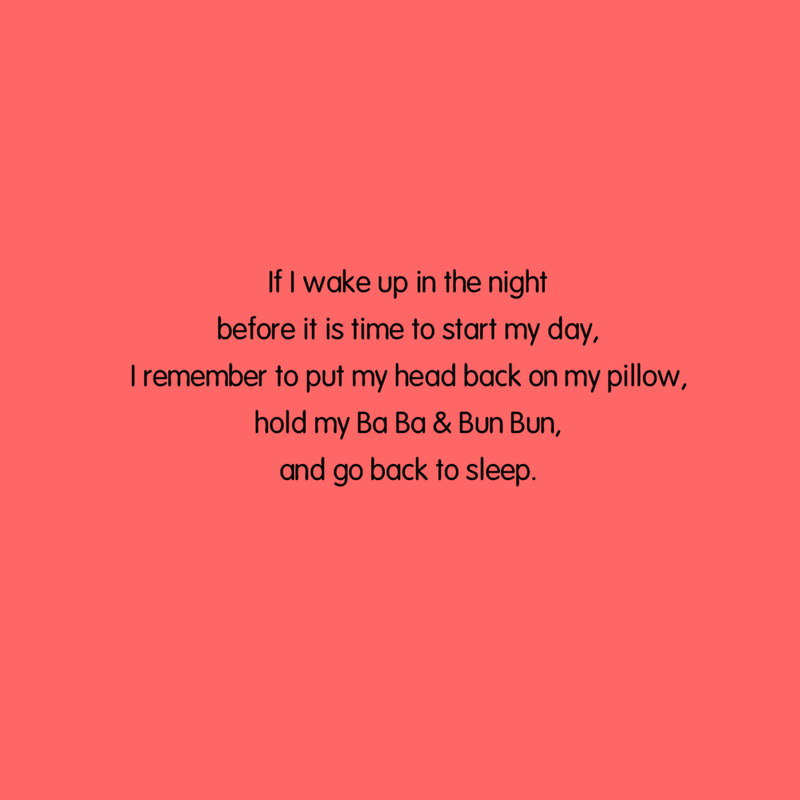 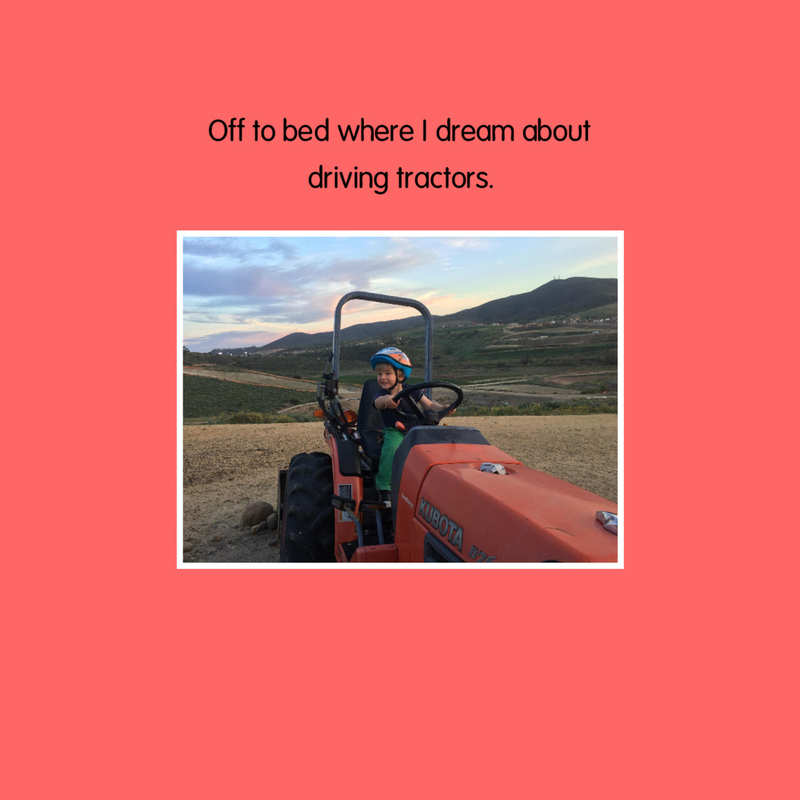 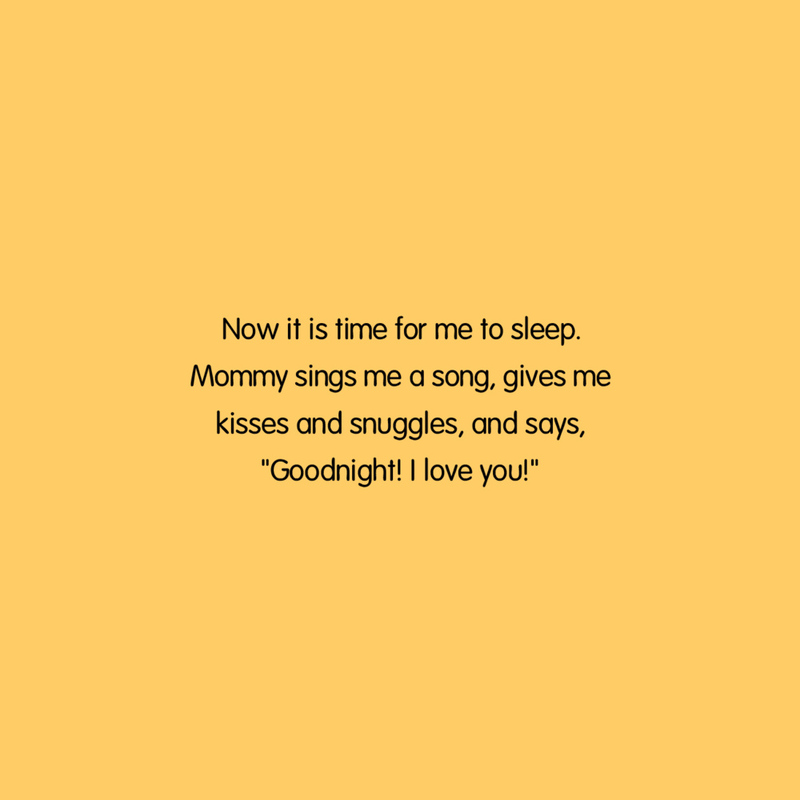 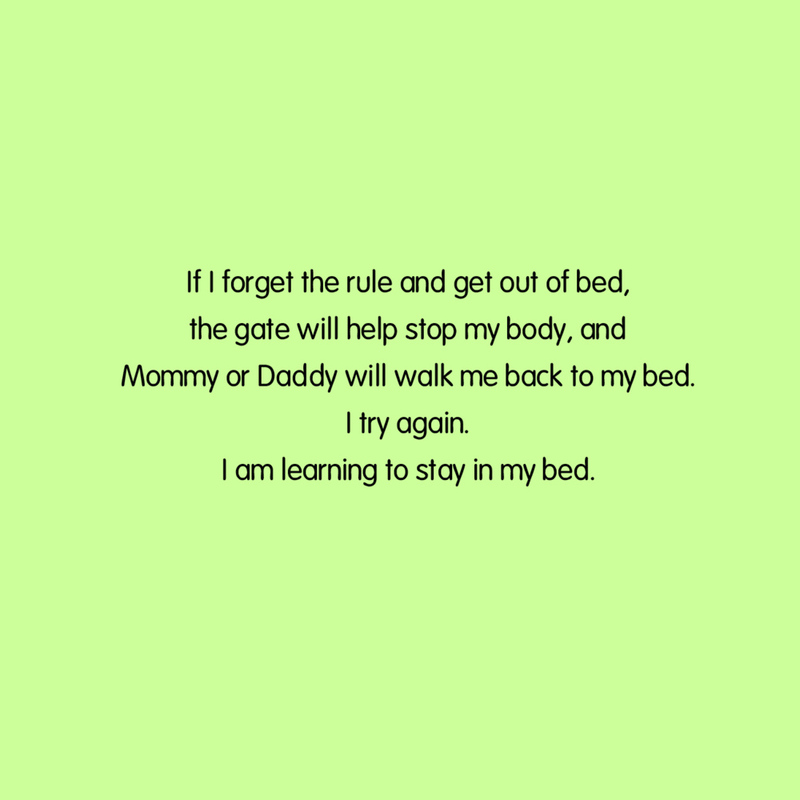 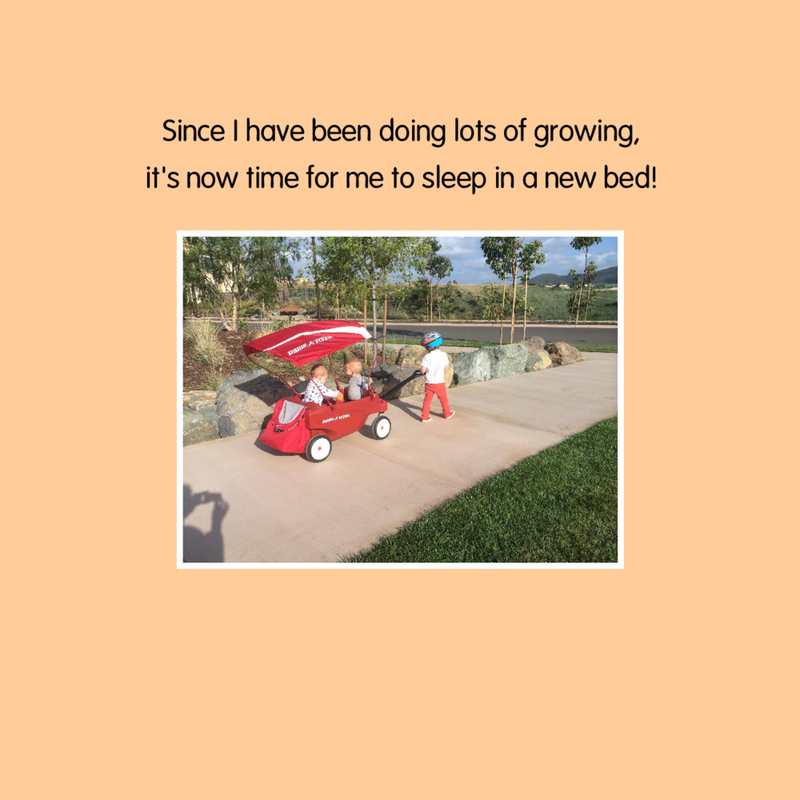 Time to move your toddler from the crib to a bed? 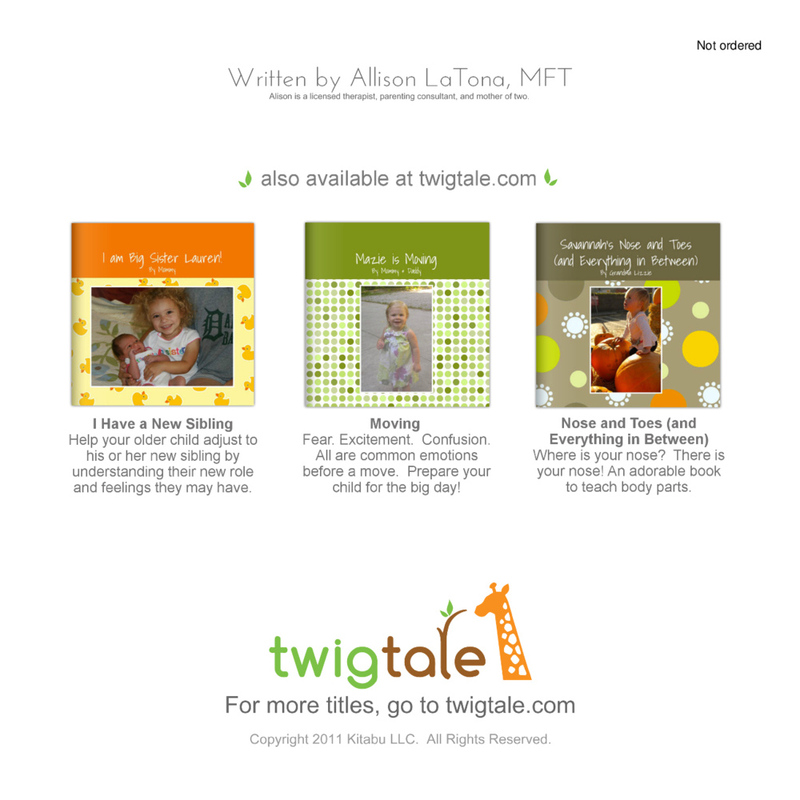 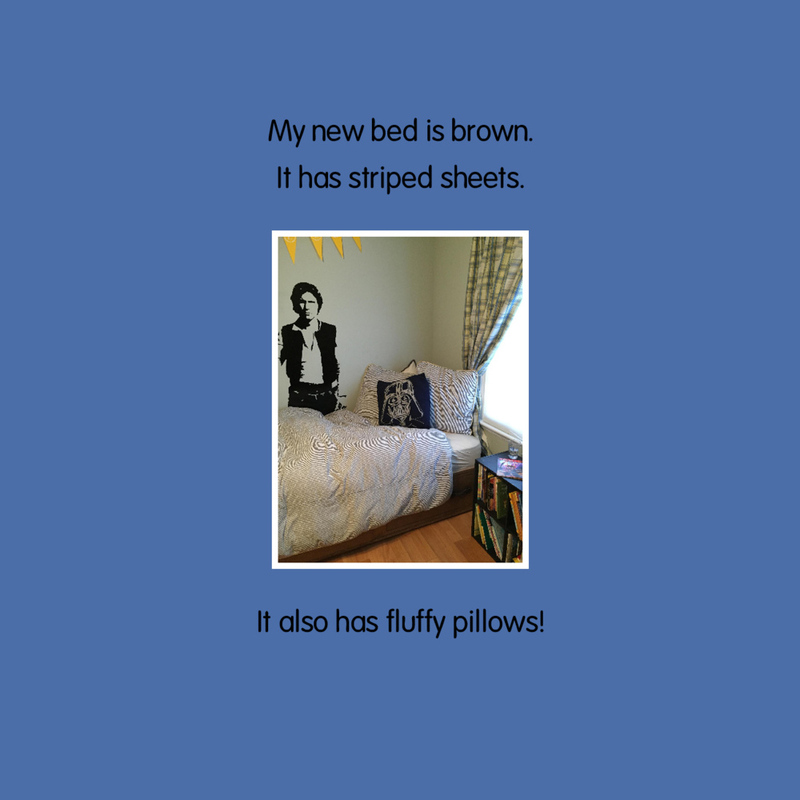 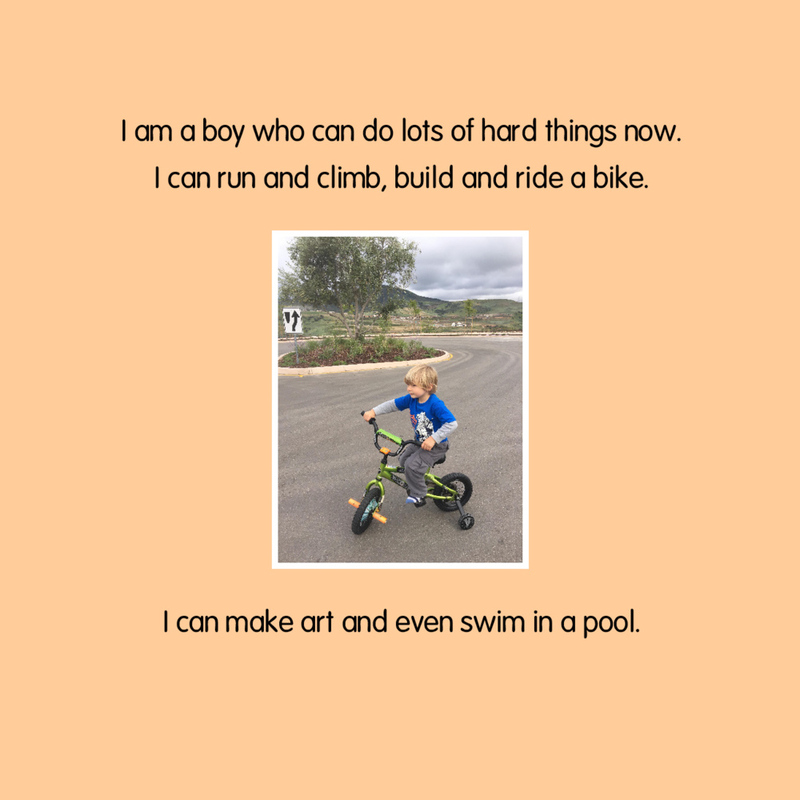 This personalized book helps your child prepare for the transition! 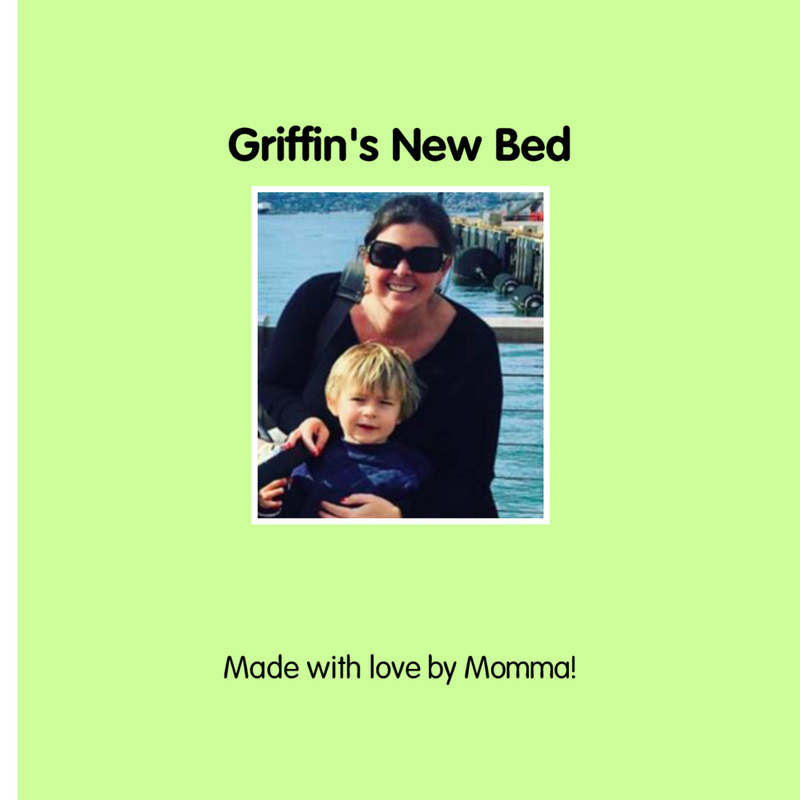 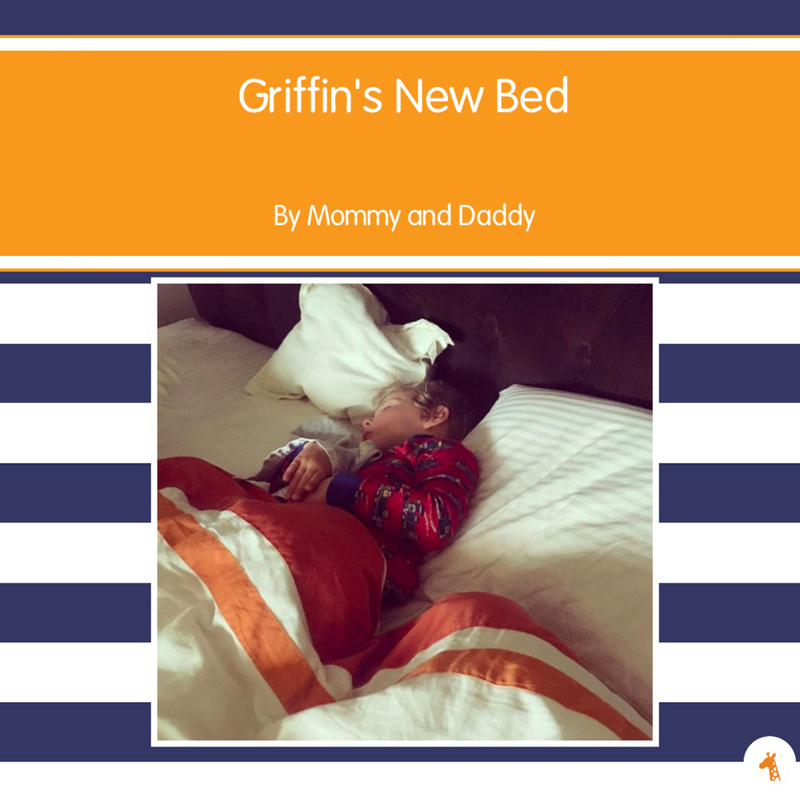 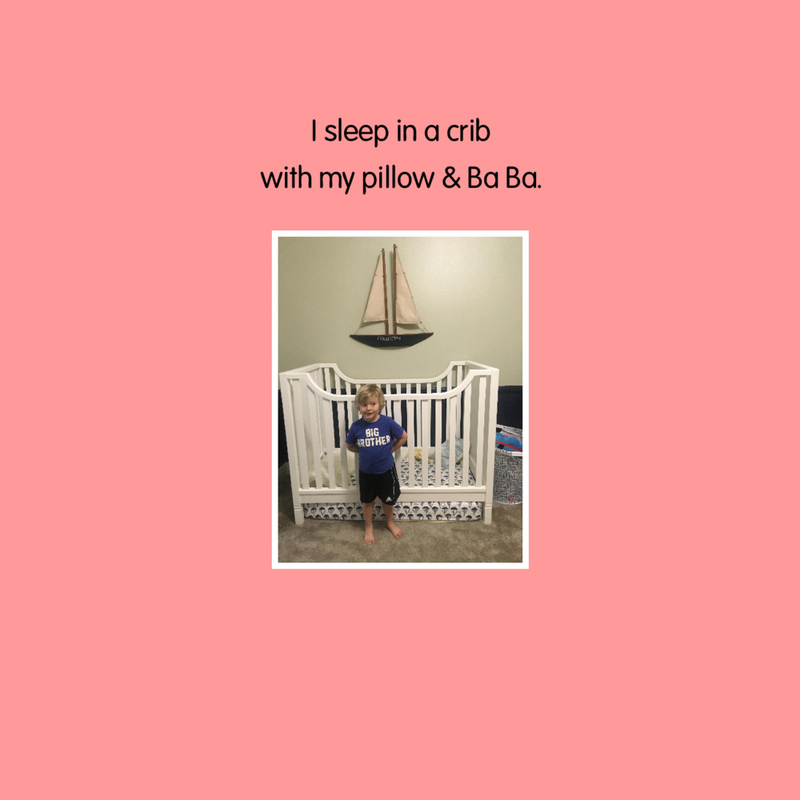 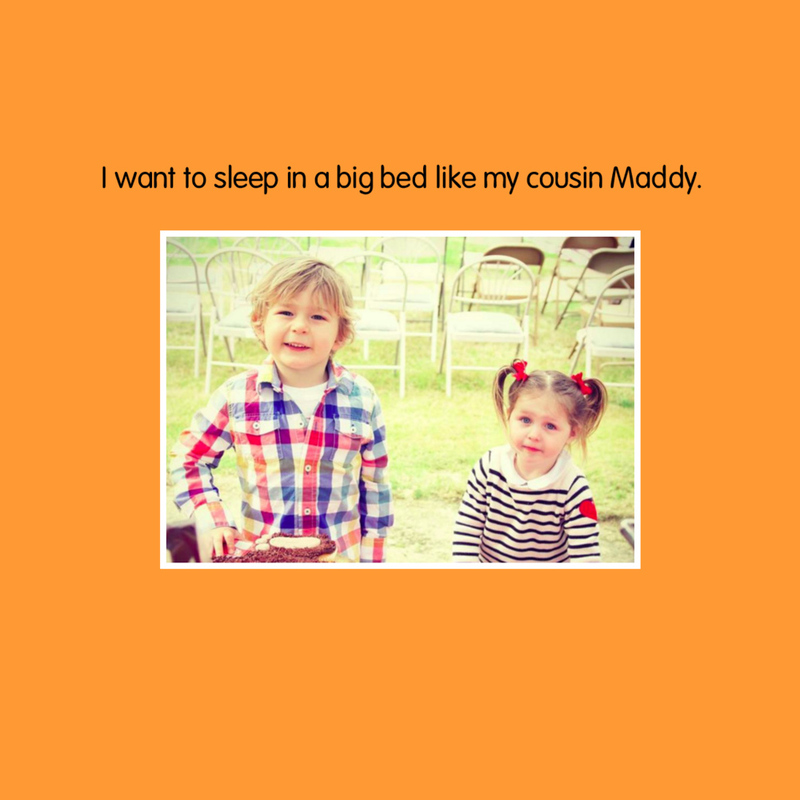 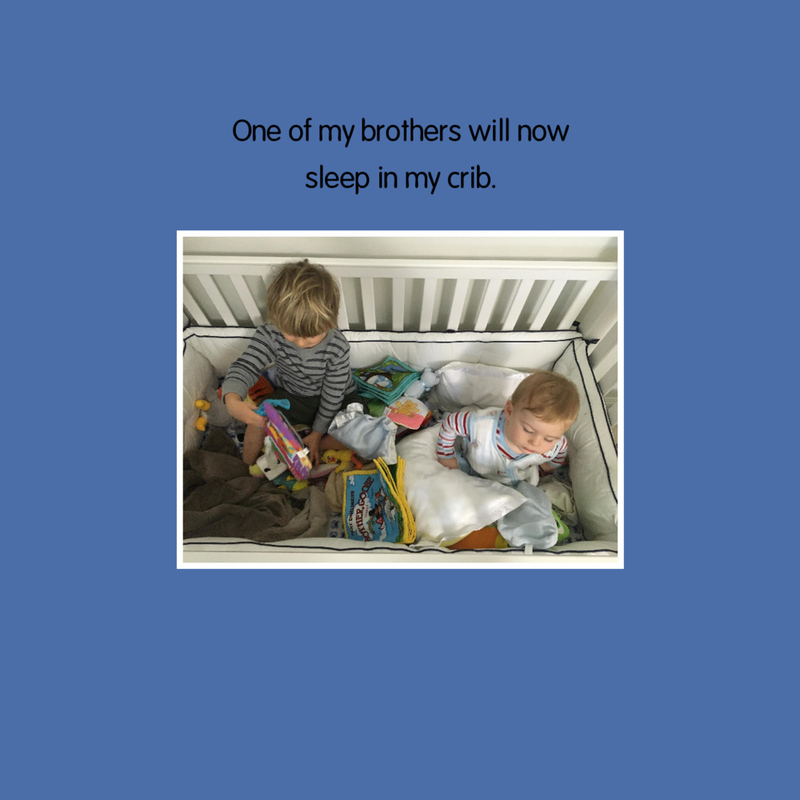 The purpose of this book is to outline the upcoming change of transitioning from sleeping in a crib to a bed. 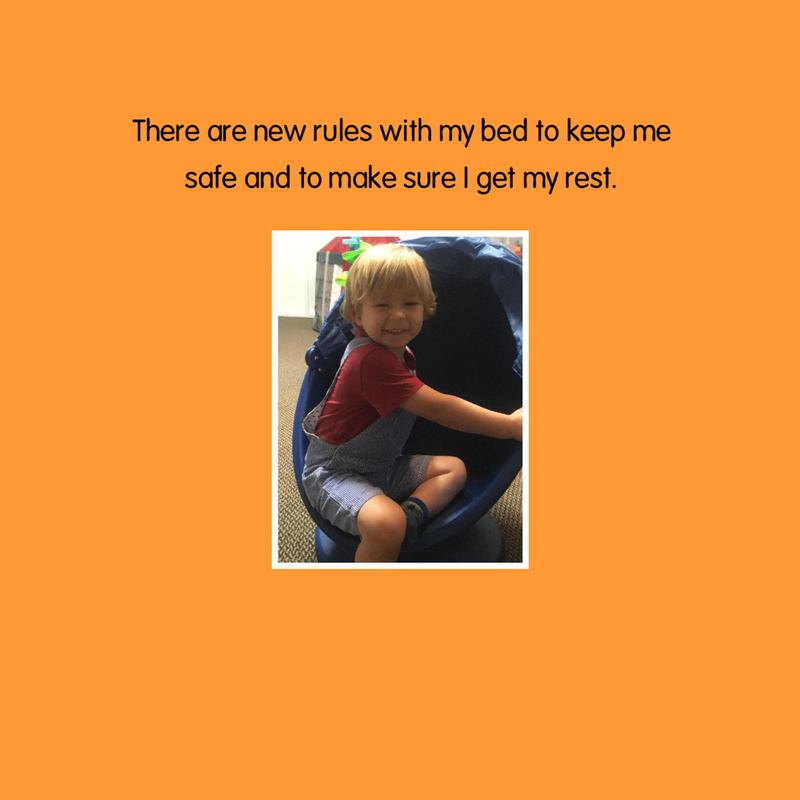 As this transition typically occurs in the toddler years when impulse control is still an issue, the narration defines new rules and routine around that change. 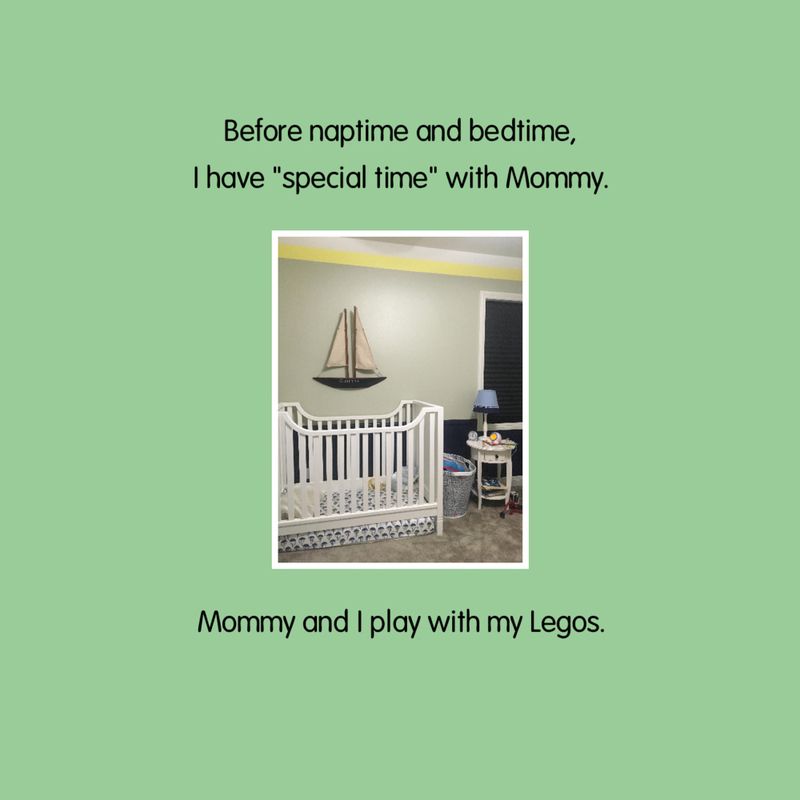 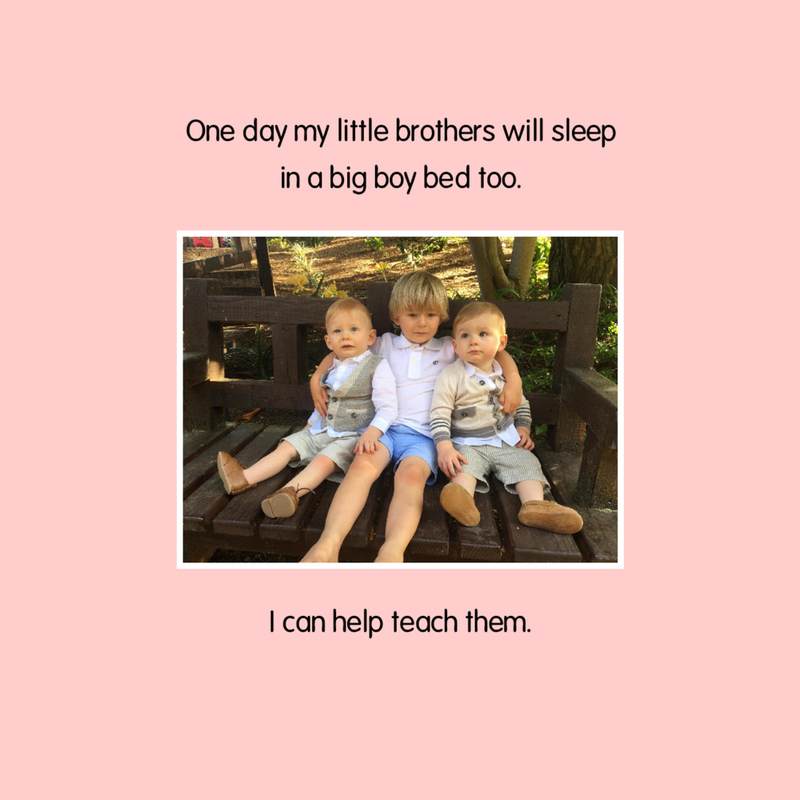 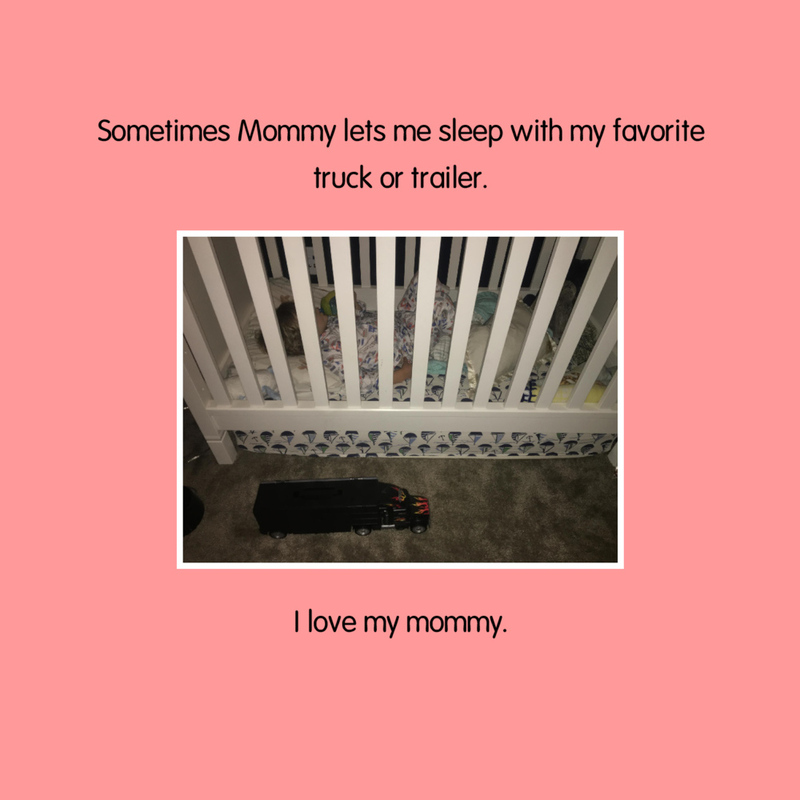 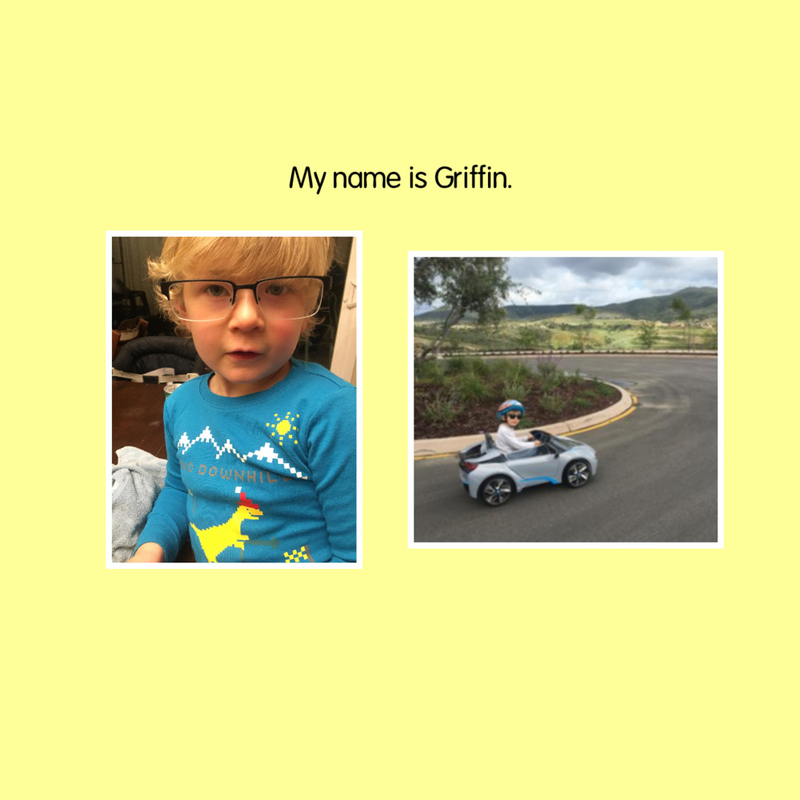 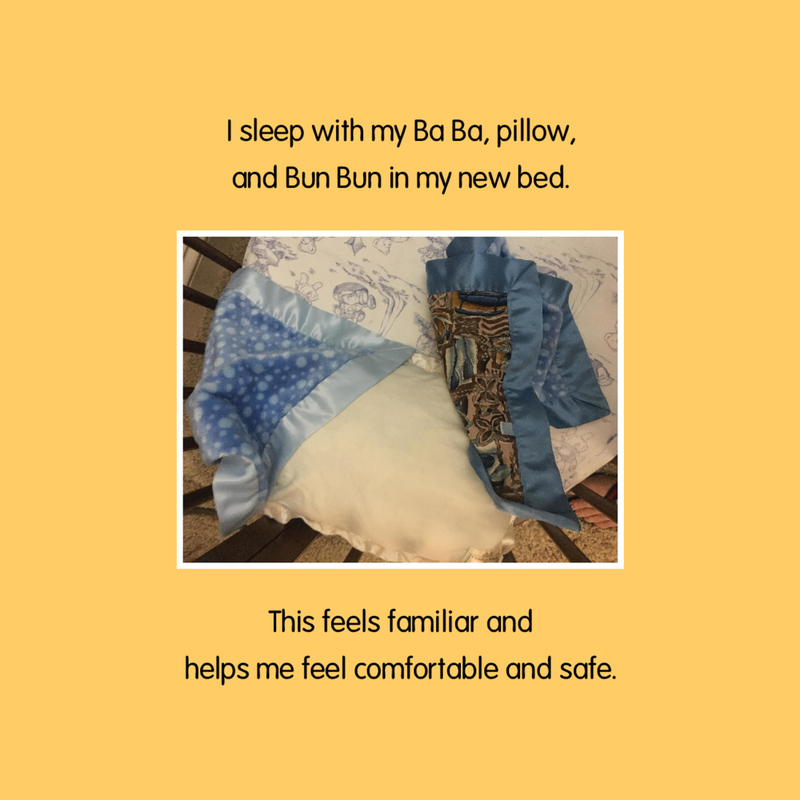 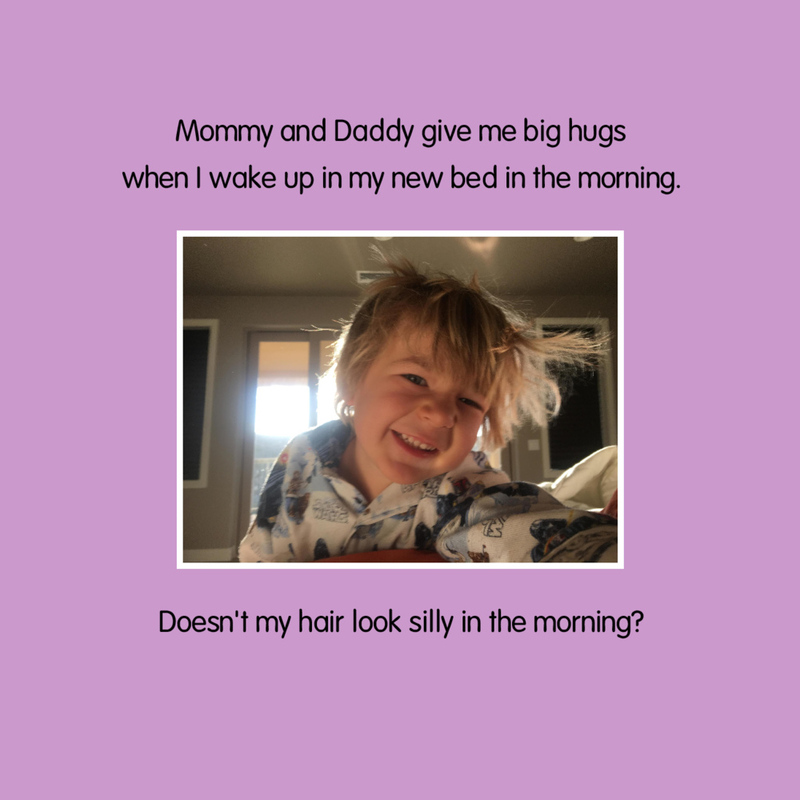 Since frustration with lack of control as well as separation anxiety are common issues during this stage, the book focuses on what the child can control, how they can self-soothe, and reassurance of Mommy and Daddy’s proximity.